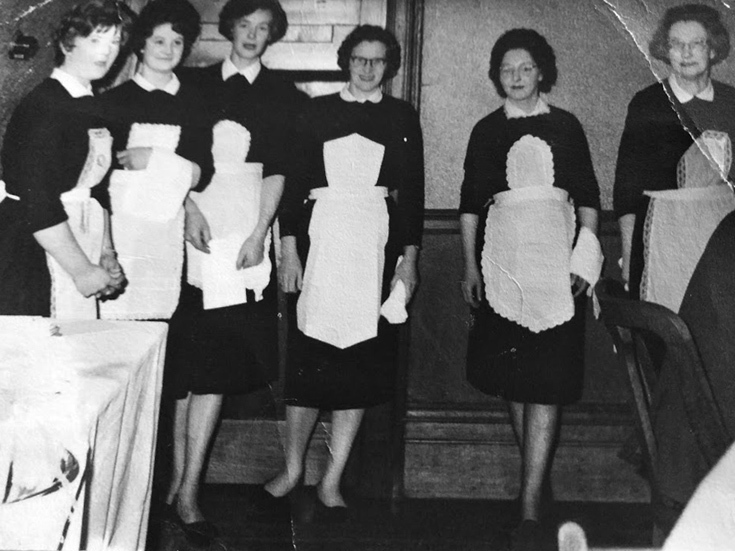 My mother Kathleen MacKenzie nee Ross from Outram Street on the far left when working at the Royal Hotel. The lady second from the right is Sarah Williamson. The date of the picture is not known.